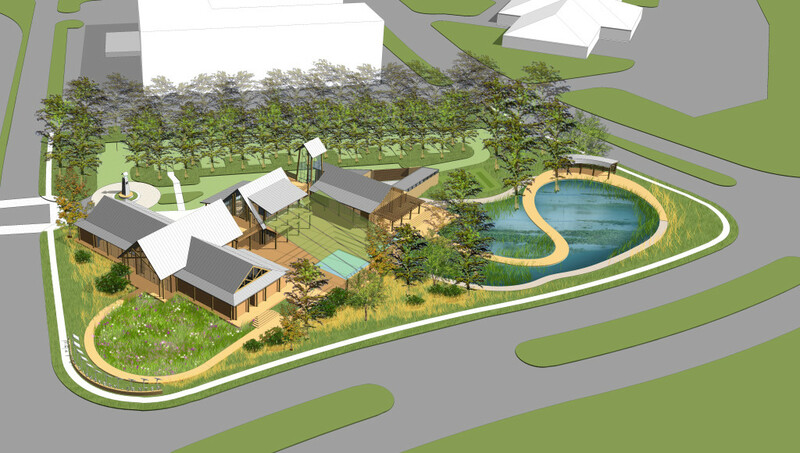 The South Louisiana Wetlands Discovery Center will be built on 2.4 acres of land located within walking distance of Terrebonne Parish’s Main Branch Library and next door to the Courtyard Marriott hotel. This area represents an area of community gathering and learning. The Houma-Terrebonne Civic Center acts as the anchor for this group of facilities while the main branch library is an award winning facility that provides wonderful services to our community. The Wetlands Discovery Center represents a welcomed addition to this collection of community focused facilities while also offering visitors staying at the Courtyard Marriott a venue to learn more about the Louisiana wetlands.